What is the average per-person rewards spend for your/your clients’ non-cash reward and recognition programs? 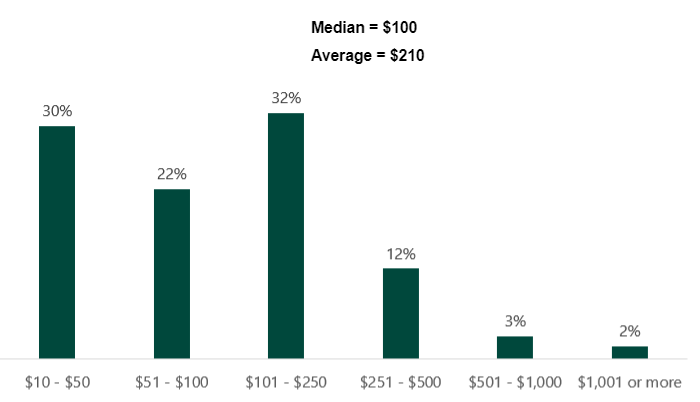 Attendee gift spend is most commonly around $100, but many respondents are spending $10 to $50 per attendee. A small proportion are making significant investments in attendee gifts – these are most likely for small events for key clients or high-performing salespeople. 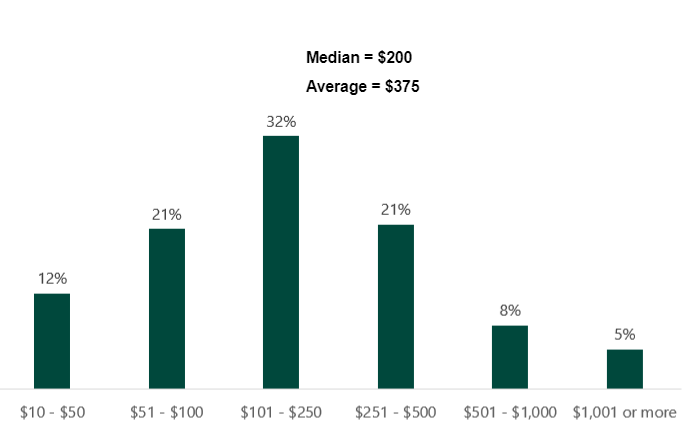 VIP attendees command a higher spend rate than attendees – on average $375. 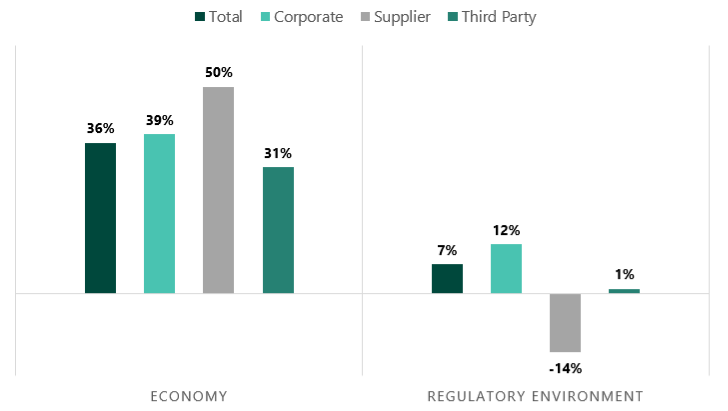 All segments anticipate event gifting budgets to increase in 2019, although suppliers and third-party providers have a more optimistic outlook than their clients. The Incentive & Engagement Solution Providers (IESP), a strategic industry group within the Incentive Marketing Association (IMA), is a trusted resource for business leaders globally in helping their organizations achieve results through engagement and incentive solutions. 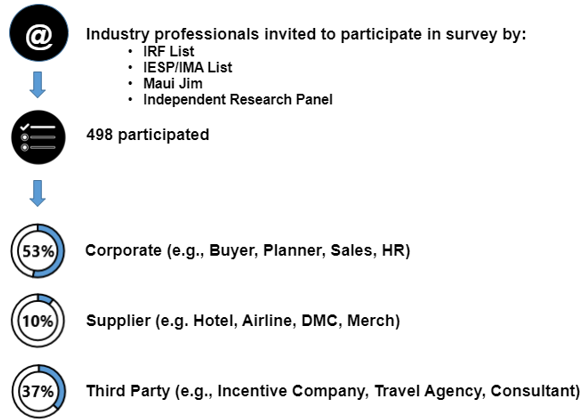 Incentive Travel Industry Index powered by SITE Index, IRF Outlook and FICP Released!